This globular cluster in Aquarius was discovered by Mechain in Aug. 1780. 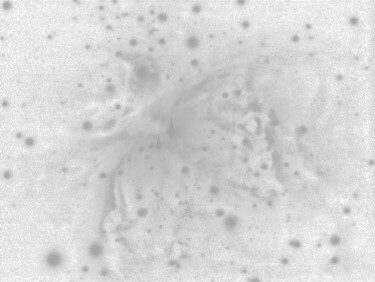 Messier observed it on Oct. 4, 1780. Located about 56,400 ly away it measures 98 ly across. 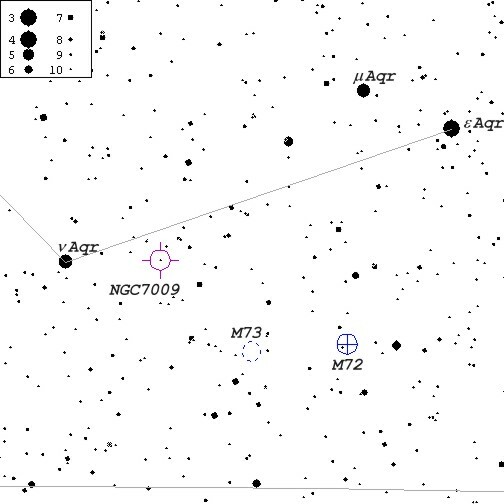 Binoculars will show it just over 3° SE of e Aquarii (see finder chart below). Saturn Nebula can be found 3° ENE. 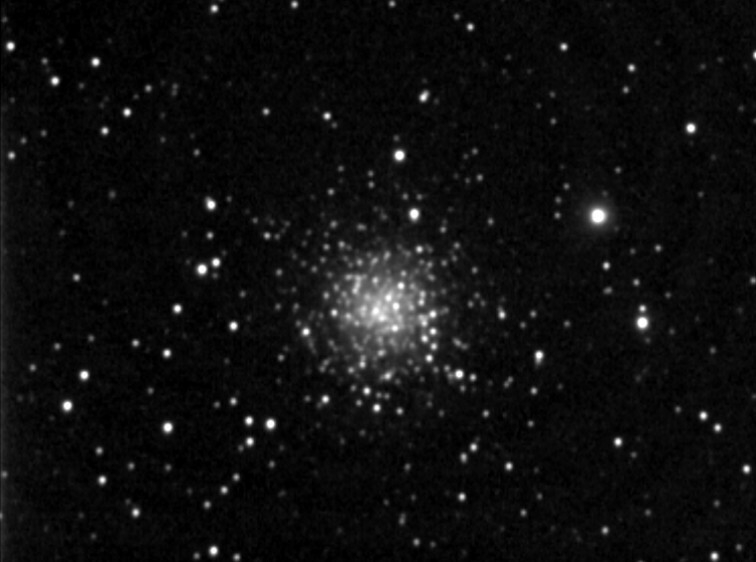 M72 image was taken on Sept. 20, 1998 from Sooke, BC using Cookbook 245 LDC CCD camera on Ultima 8 f6.3 telescope, autoguided with Cookbook 211 LDC CCD camera on piggybacked 500mm f8 telephoto lens. It is composed of white integrations (7 x 2 min.) processed with AIP4WIN.